It’s as if they popped up over night, whether it self-serve or over the counter, frozen yoghurt stores have taken the world by storm, with the endless offerings of flavours and toppings. With more social concern surrounding healthy lifestyle, frozen yoghurt or ‘fro-yo” has become the “healthier” choice of treat indulgence. It’s the innovative thinking of flavours and toppings that have made such an impact on the frozen dessert market. It’s obvious that frozen yoghurt is not just a dessert; it has become a social activity – something to do. The frozen yoghurt trend first saw popularity in the 1980s going head to head with traditional ice cream. 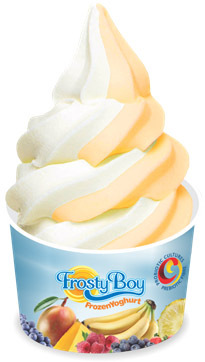 For the next decade the frozen yoghurt franchises were popping up on every street corner and shopping mall. It didn’t take long for the icy creation to dominate the frozen treat market, however as the saying goes “what goes up, must come down.” Today no one would believe that the frozen yoghurt craze suffered a significant decline in the 1990s, taking a back seat to ice cream and the numerous flavours the companies were pumping out. However this past decade, equipped with new generation flavours, toppings and store layout, frozen yoghurt has been making an immense comeback and has become more popular than ever. Putting a focus on delicious yet “diet-friendly” treats, with innovative varieties of flavours and toppings, this new wave of frozen yoghurt franchisers is a far cry from the freezing point it suffered in the 90s. Unlike before when frozen yoghurt franchisers tried to mimic ice cream trends, these new franchisers are going beyond typical flavours and creating new innovative flavours like cran-raspberry and green tea. Arguably the greatest advantage that frozen yoghurt franchisers have in the market is the versatility and room for innovation. They have the opportunity to allow quick changes within the range, where consumers can have a completely unique experience each time they enter a store. Turning away from the outdated ice cream parlour environment, frozen yoghurt franchises has created a chill, relaxed environment for their customers. Offering modern furniture, free Wi-Fi, a range of music and large flat screen TVs, creating a coffeehouse feel where people can hang out; a place to go to meet not just to eat. One of the biggest differences from ice cream parlours, and also probably a big reason for the popularity surrounding frozen yoghurt is the self-serve frozen yoghurt stores. The soft-serve option is a simple pay for what you get system. Customers are creating their own dessert from scratch starting with combining the flavours that they want and finishing it off with all their favourite toppings. It not only allows customers to custom make their own desserts from a mix of flavours to a range of sweet toppings, it also benefits the franchise, as the price is determined on the weight of the cup. The self-service also allows for the franchisers to have significantly lower labour costs, meaning franchisers can enjoy a larger profit. In addition the trendy setting that has been established is not just attracting teenagers and college students, but also business professionals who desire a more casual atmosphere to chat with clients. These self-serve franchisers are amongst the fastest and easiest to get up and go franchisers and ultimately created a trend of their own. It’s a new level of customer freedom that will bring them back time and time again. In an economy where so many people are being limited to what they can add to their order, self-serve frozen yoghurt parlours are giving the power back to the people. This is almost a guarantee that there is almost no way a customer can walk away dissatisfied in their dessert. Despite the downfall in the past, the success of frozen yoghurt is having now indicates for long term expansion. In 2009, the International Franchise Association (IFA) reported that frozen yoghurts were expected undergo a small growth, compared to other franchise establishments that were expected to drop by 10,000 that year. As long as people are buying, there is a large incentive for fro-yo franchises to continue to open, especially self-serve stores. So why has frozen yoghurt made it’s comeback, now of all times? It could come down to the association people have with frozen yoghurt and the predominant trend of healthiness. According to research conducted by the NPD Group, an increased interest in probiotics may be a factor in the popularity of this frozen craze. 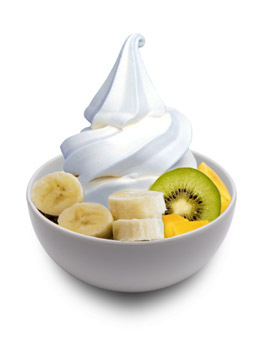 Frozen yoghurt is lower in fat than traditional ice cream, and although many franchises are supply “healthy” toppings such as fruits and nuts, in addition to the traditional toppings of chocolate sauces, brownie bits and a selection of candies. The attraction of a “healthier treat” is what causes the market to continue to grow. Copyright © 2014 Frosty Boy Australia.